Unfortunately, on the morning of Saturday, August 9th, 2003, PCQandA lost a valuable forum member. 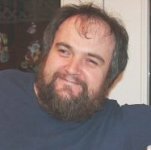 Robert Lindsey (known in the forums as Tuff), lost a long battle with cancer. More information can be found on the Tuff Memorial page. Born and raised in Germany, I am now living in California / Silicon Valley since 1993. 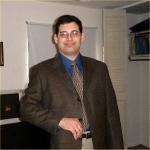 For the last 10 years I have had various technical support engineer jobs in the computer network and security industry. For about 5 years I managed the computer help site PC911 that this forum used to belong to. In my spare time I enjoy various hobbies such as running, weight-lifting, Aikido, playing drums, competitive shooting, watching movies. I'm Mike, 37 years old in Ontario Canada. My interests are computers, Linux, PCQandA, Science, Science Fiction, target shooting, good food (cheeseburgers!) and hiking in the woods, when I can pry my hands away from a keyboard. I first got interested in computers early in 1995. I was taking a chemistry course at a local college and was required to use computers in the course. My first reaction was anger, I hated computers. All I had was this old 8086 clone running DOS 3 that I used to type up lab reports with the old Word Perfect. It was a hand-me-down from my Dad's business. It got so that I wasn't able to do what I needed on that old computer, and you couldn't just go to the college computer labs and get a seat whenever you felt the need, so I had to get one. I bought a Windows 95 computer. During the course of all that, I discovered that I really enjoyed working with computers ... a heck of a lot more than chemistry. From there, it was a steady progression to becoming a nerd. I started helping friends and family with their computers, I took courses and got A+ and MCSE certifications, and dabbled with Linux to hone Unix applicable skills. At one time I sought to find a good job somewhere in the IT field, but have since found it rewarding to work on my own, servicing computers in local homes and offices. I was born and raised in Long Island, NY. (Ok, born in Queens, but I always thought of Queens as part of Long Island, not New York City.). I went to Hofstra University to major in physics, but rethought that after I hit into Quantum Mechanics. After getting my bachlor's degree in Computer Science from Hofstra, I went to work for Windows Magazine. I survived the shutdown of Windows Magazine as CMP Media turned it from a print magazine into a web-only magazine. In the fall of 1999, I met Beth in a Yahoo chat room (and quickly got her hooked on the then-PC911 forum ). After asking Beth to marry me, I moved to Albany to be closer to her. I continued to work for Winmag.com out of my apartment until CMP decided to shut down the website. Currently, I work for Northeast Health in Troy, NY. In my spare time, I run Jason's Toolbox (where I have some free applications and scripts), PCQandA, and work on the Shooting For A Cause project. I enjoy photography and cooking. I also love playing with my two sons whenever I have the chance. Unlike most of the team members, I have never built my own computer. However, I am slowly replacing some of the original components of my computer and finally bought my own set of screwdrivers. 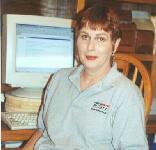 I'm in my early 50's and have been in the Houston, Texas area for over 25 years. I haven't had a paying job in over 10 years; my last job was help-desk support for a small group of users on a mini-mainframe. Besides the hand-holding with users, the job involved writing "how to" manuals from a new-to-computers point of view. I have been around computers for a long time; it was so exciting when typewriter-like terminal mainframe access was upgraded from 110 baud to 300 baud. When I started working in the mini-mainframe support group, there were screens, but they were dumb terminals, that is, all program and data were stored on the main computer. When I quit work, PC's were just starting to appear in the office. When husband and I bought a PC, I had to learn DOS and programs on my own with a little help from my friends. Needless to say, I have learned Windows and associated programs on my own, but with a lot of help from my friends. My husband and I put in a large vegetable garden every spring; I had to learn the art of canning, so we could enjoy the harvest all year long. A lot of my time is spent in the sewing room, as I'm a quilter. Fabric dyeing, for use in some quilts, is another one of my vices. Well as most of the regulars know, I'm an aging electronics engineer, and that's how I make my living. I've been using computers almost as long as they've been around, going back to the days when they were bigger than a refrigerator, and 64KB was a massive memory! When you wanted to do anything, you had to first write the program, which was stored on punched paper tape. There were no monitors, all I/O was with a teletype machine. I was involved in the early space program, designing parts of the video systems for the moon missions. I also taught electronics and physics at the university level. I was hatched in New Jersey, scrambled in Connecticut for 25 years, and been frying in Florida since 1989. Hobbies include amateur radio, and amateur astronomy, while waiting for my mind to fail. I live just north of Seattle with my wife and the younger of my two kids. After getting my degree in chemistry, I spent a few years as an Army officer. After leaving the military, I went into sales. Most of my career I've sold laboratory diagnostic equipment and high purity chemicals. My most recent experience was selling equipment for microstructural analysis, which included microscopes, digital cameras, computers, and software for microscopic evaluation of metals, ceramics, and other materials. I was a distance runner but on Veteran's Day 1999 I was struck by a car in a crosswalk. The accident left me completely paralyzed below my rib cage. I currently do a lot of volunteer work for my neighborhood association as well as some tutoring in math, physics, and chemistry. I do a bit of programming for pay but also spend a lot of time on newsgroups helping to problem solve. Of course, PC Q&A gets top priority when jumping from group to group. Hi, I'm Neil, 54 year old Scotsman and rather proud of the fact that I'm a McDonald of Clan Ranald. Being born Dundee, Scotland, also allows me also to wear the Tartan of the Black Watch as well as my own Clan. I have had the privilege to travel extensively throughout Europe, the Far East and a few countries in-between through my years in the RAF. In 1986, I started my own computing business here in Southport with my "Dear Lady" Annette. 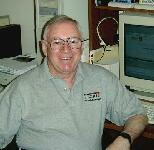 I, unofficially, retired in Dec 04 due to health. They call it "incapacity" here in the UK, but I still keep my hand in building & maintaining PCs. I spend most of my time these days on forums such as PCQ&A helping out where I can, still learning all the time, and enjoy the banter. I was born and raised in Adelaide, South Australia in 1946. Been a government worker all my life, and first got into computers through the job in about 1976. I've been in financial software support all that time, with a fair bit of involvement in report writing. We've raised three kids who are now spread all over, and the cat died last year, so we're empty-nesters now. My hobbies are computers (gee, really! ), golf, stamp-collecting, beer (quality, not quantity) and music (most kinds, except rap/hip-hop). Retirement looms - in about 12 months, and then a bit of travel around this great country of ours, and then I'd like to breed parrots. I have lived in Tulsa, Oklahoma all my life except while attending college. I've always enjoyed tinkering with electrical and mechanical projects. My first computer was a Commodore VIC-20, which I will some day take out of the closet to see if it still works. In my spare time I like to work in the yard and cook BBQ in a Hasty Bake charcoal oven (made in Tulsa). I have a Bachelor's degree in Electronics Engineering Technology from Oklahoma State University. I also have CompTIA A+ certification. I have been working in computer related jobs for over 20 years, including many years doing tech support in a help desk environment. I currently work for a small computer repair shop and provide onsite tech support for home and small business customers. I miss working with a large group of people that I can brainstorm with, but I like the freedom that my current job provides.